Why Are Teens So Angry? Adolescent anger management is such a tough problem because adolescence is an in-between time--a teen is no longer a child and not yet an adult. Anger is often a natural part of this transition from childhood to adulthood. Angry teens are not bad kids. They're having trouble with anger, and that makes them tough to deal with, but when you learn to understand, empathize and respond in a helpful way, you'll see them improve and become the good kids they really are. They're having those anger problems for very good reasons. Find out (on this site) what those reasons are, and you can help them. Skills for parenting teenagers with anger management problems. How adolescent rites of passage events can help teens transition from childhood into adulthood. The importance of empathy, respect and understanding in communication. How to be a better role model for the angry adolescents in your life, as you become a healthier person yourself. I congratulate you for caring enough to be here, to make a positive difference for teens. Have a question or story to tell? Submit it here. I hope you enjoyed that adolescent anger management video. Please contact us if you would like to have Dr. DeFoore speak to your school, church or organization. Are You An Angry Teen? Get Help Here! A good thing to say to an angry girl or angry boy is,"Hey, I can see you're angry, and I bet you have good reasons to feel that way. Help me understand what's going on, if you can. "The message you're sending is that you don't condemn or judge them for their anger, you're just trying to keep everybody safe. This is the basis of any good approach to adolescent anger management. Make sure you hear what they're saying. The best way to do that is with reflective listening. Here's how it works:After they've had their say and reach a stopping point, say something like,"Okay, what I'm hearing you say is..." or "So I think you're saying..." then repeat back to them exactly what they just said. Try to use their own words, with little or no interpretation of your own.You want to make this about their feelings, not yours. This has to be done with total respect, if you want it to be effective. Any sarcasm or frustration from you will sabotage your efforts to provide good adolescent anger management. Show empathy. This is where you set your own feelings aside and look at things from the angry teen's viewpoint. You'll want to say things like, "When I look at this from your perspective," or "From your viewpoint, I guess it seems like ..." Also offer validation if you can, with statements like, "I get what you're saying" or "I think I can see where you're coming from. "Do this even if you don't agree, or don't like what they're saying. This is not about agreeing or being right, it's about forming a connection so that you can help. Your efforts at adolescent anger management just won't work without empathy and understanding. Don't tell them what to do or lecture them. 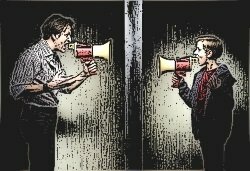 As you get better with your adolescent anger management skills such as reflective listening and empathy, the teen you're working with will calm down enough to listen once in a while.In other words, they won't be able or willing to hear you until they feel that you've heard and understood them. Watch their eyes, and you'll know when they're listening, and when you've lost them. Stop talking when they stop listening, and go back to the empathy and putting yourself in their shoes. Parental discipline does not belong in this part of adolescent anger management. This is a time for connection.No consequences until you understand them. And make the consequences match the problem behavior. Listen, and really hear what your teen is saying. This lets them know that you really care about them, and what they're going through. If they get the feeling you're all about controlling them and having the power, they will either shut down or fight you all the way.Remember, if they feel heard by you, they'll be more likely to hear you. Teen anger management has a lot more to do with emotion and nonverbal communication than anything else. Kids who get involved in school violence and teen violence are usually not talking to their parents. You could actually be saving lives here. Claim authority. If you're not in charge, the adolescent will probably try to take over, and that's never good. Good parenting skills require that you feel comfortable and confident in your authority and power. If you give more power to teens than they need, they'll take it anyway, and it will hurt them.Adolescents feel much more relaxed and secure when their parents are clear and firm in their authoritative role as parents. It's actually scary for teens to have more power than they're supposed to. If you're scared of your kid, you need some support from a friend, family member or professional. Hopefully you will never have to call the police, but sometimes that is exactly what is needed. Of all of the adolescent anger management strategies, this is the most extreme. Tell the teens that you know some techniques that will really work if they use them. 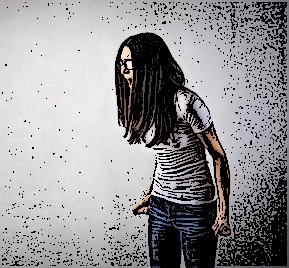 If they're open and/or interested, give them this link for anger tips for teens. Sometimes, physical release can help. It's up to each teen, but when it fits, it can be very helpful. Check out our anger management books for a "blow by blow" description. Vocal release can be very beneficial for releasing tension and pent up rage. This is a simple technique, but can sometimes be extremely beneficial for blowing off steam in a healthy way. All of these techniques are excellent for building self-esteem and self confidence, which is one of the most important gifts you can offer the teens in your life! Parenting Skills: Learn and master the specific parenting skills you need to manage and help the angry adolescents in your life. Overcome Bullying: It's all here. Help for parents, teachers, victims and bullies. Don't let this problem get the best of you--give your best to solving it. Teenagers And Stress: Here you will look at causes and solutions for teenagers and stress. This problem can often lead to anger issues, so here's your chance to take preventive action.